Ahhhh look out the doggie is gonna eat me!!!!!!! This is the first of many Screecher dog and cats toys I will be making for my Gimpy Pets shop! I am upcycling old denim into these since denim is a wee bit stronger than just using some fleece or cotton fabrics.They will have squeekers inside and I will make some without for those who don’t want the noise! I will also make some kitty versions with a little nip inside! I designed up some screaming faces and prepped them for my silk screen printer. 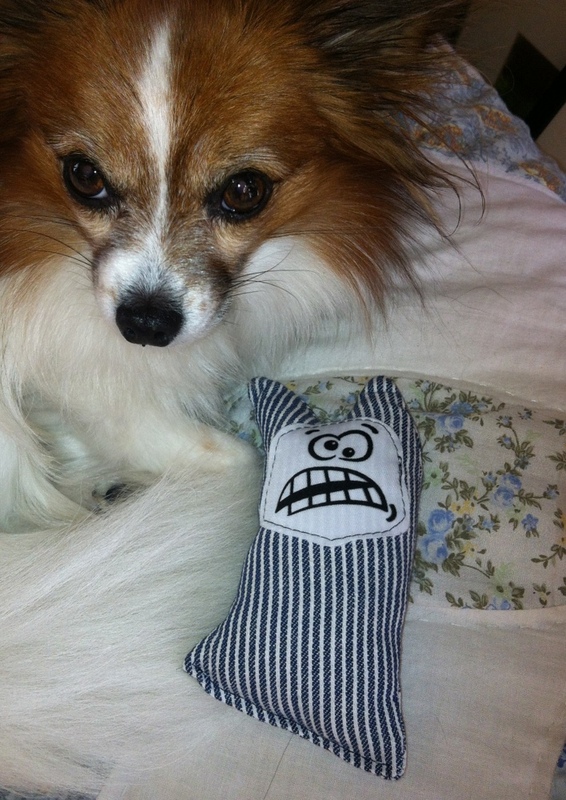 These are fun little pet toys for your furry children to toss around and play with. I just ordered some of the squeekers for the inside and should have some ready for purchase on my ETSY page soon! !